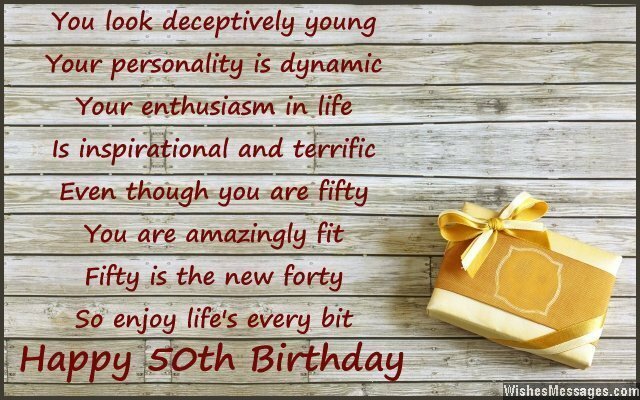 50th Birthday Poems: This post is an awesome mixed bag of sweet, cute, inspirational, motivational and funny 50th birthday wishes. 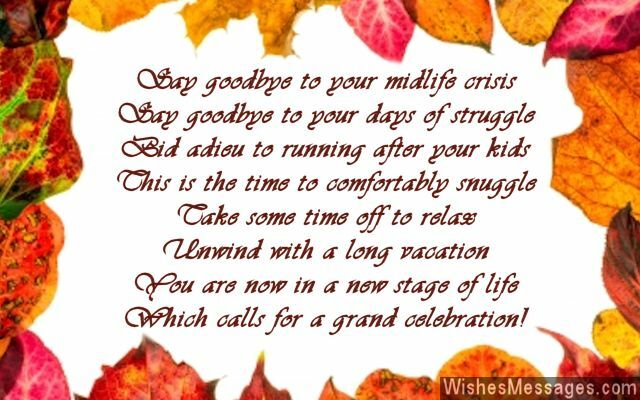 Take ideas to write short poems and quotes on a greeting card for someone who has just turned fifty years old. 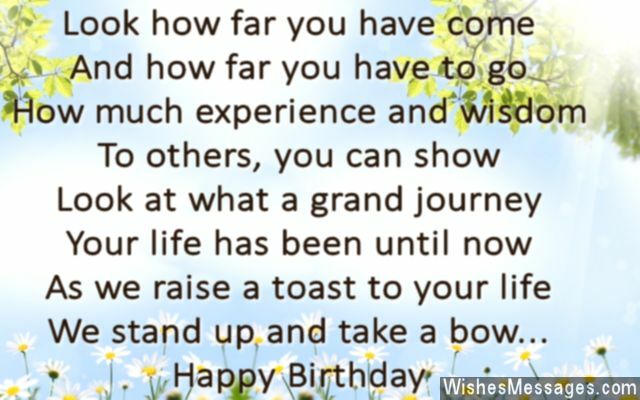 Whether it is your dad, mom, boss, friend, colleague, brother, sister or a family friend – say Happy Birthday in a way that adds a touch of love to their fiftieth birthday celebrations. Everyone can buy a card from the shop shelves but you can stand out from the crowd by expressing yourself in your personalized rhyme. Wish them good luck, good health and lots of happiness as they begin the countdown towards escaping from life’s rat race.